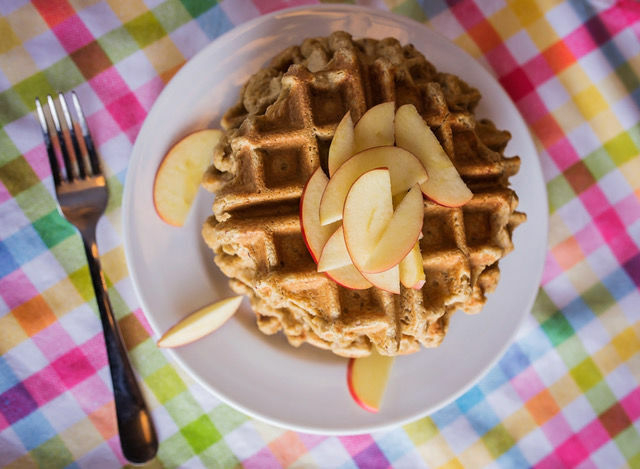 5-Ingredients, no-refined flour, no-sugar, Apple Oat Waffles!!! Our favorite breakfast! In a blender, add ingredients in order beginning with egg, apple, cinnamon, salt, almond milk, and oats. Blend until all ingredients are combined, stopping blender to stir ingredients if needed. Brush waffle maker with coconut oil or nonstick spray. 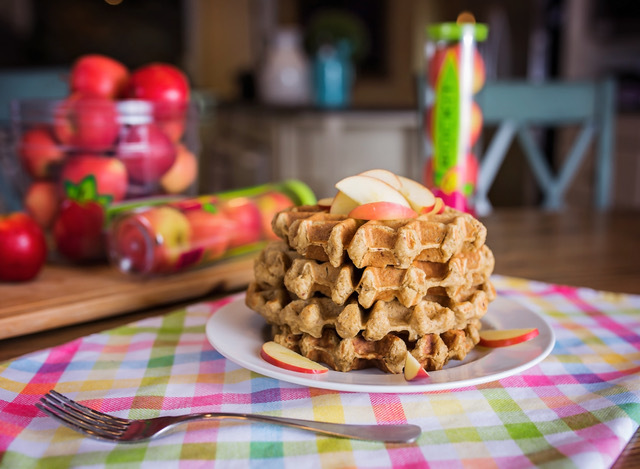 For a Belgian waffle maker, use 1 cup batter and cook about 4 minutes or until golden brown. For a regular waffle maker, use 1/3 – 1/2 cup batter per waffle. Cook until golden brown, about 3 minutes. Top as desired!